As more games are released for any genre, everything evolves, from graphics to gameplay mechanics to the realism of NPCs. And as genres evolve, gamers form new expectations, evaluating what’s fun and what just isn’t working anymore. Lately, fans of online shooters (myself included) have turned their minds toward the evolution of that genre, spurred on by the huge release of Titanfall. Ever since the release of Call of Duty 4: Modern Warfare, the market for online shooters, at least on consoles, has been generally dominated by the all-too-familiar acronym COD. Gamers have devoted hours upon hours to becoming decorated virtual comrades and achieving the highest prestige. Enter Titanfall, stage left. Respawn’s new fast-paced shooter has left players giddy with vertically pleasant maps, parkour, and mechs. 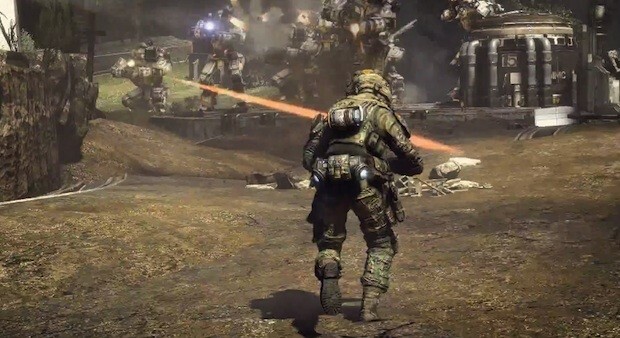 These new features have inspired and invigorated the online community with something new, and they raise two important questions: First, is Titanfall a harbinger of a new online shooter landscape and gaming expectations? And further, how much longer until Call of Duty loses its hold on the online market? To answer the former question with my opinion, I think Titanfall will definitely make this genre exciting again and change gamers’ expectations. My lack of knowledge in terms of what still exists and what is yesterday’s news in COD isn’t because I am out of the loop; it’s disinterest. Call of Duty is now, unfortunately, an annual franchise, which has led to some added perks from game to game, but nothing mind blowing. To answer the latter question; it’s hard to say, but sooner rather than later. If the sales figures for Ghosts and the horizon for upcoming online shooters is any indication, I think it may be safe to say that Call of Duty needs to evolve in order keep up with the pack. So, finally getting to my point, here are four games that, like Titanfall, offer some serious innovations to the pedigree of online shooters, and will begin to nudge their way in and expand the market, slowly taking the reign from COD. First up: Evolve. Turtle Rock Studios is responsible for the team-based beauty Left for Dead, so they know a thing or two about cooperative gameplay. While this game goes away from ridiculously fast zombies and huge behemoths that have really bad acid reflux, Evolve still operates within the same monstrous bounds, but with a bit of a twist to the cooperative gameplay that garnered so much praise for Left for Dead. In this game, it’s four versus one. You heard me. Four hunters, each a different class (Assault, Trapper, Medic, and Support), face off against a Monster — also commanded by a player. The four man team searches throughout the treacherous planet of Shear for the Monster, using the skills of each class to help them find their goal. Although the team’s main goal is to kill the Monster, there are of course smaller predators that inhabit Shear to keep things interesting, diverse, and of course, difficult. While the team searches for the beast, the individual playing the Monster uses their time to grow. Literally. The longer the four man team takes to find the Monster, the longer the Monster has to become stronger (eating, nurturing itself, working out), upgrading itself from sizable to nightmare inducing. The team can use environment clues such as birds flying away and tracks to find where the monster is. Evolve attracts both gamers interested in teamwork and those who wish to be left alone and answer to no one. The team-based dynamics mixed with the unpredictability of a one-man machine, all of which will be residing in a living and breathing planet, will surely shake up the online community. Think Dark Souls mixed with Starship Troopers, and you have the next game on the list. 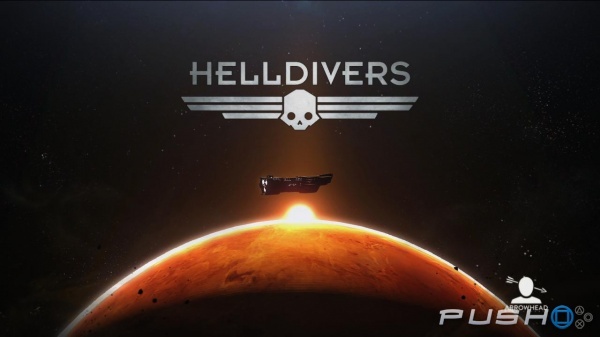 Helldivers is another game that employs a four-man co-op play style, but with an unforgiving difficulty. The enemies are relentless, the planets are all randomly generated so you can’t get comfortable, and if you manage to save humanity, the game just restarts itself at a higher difficulty. The game itself already sounds daunting, but if you take some of the gameplay mechanics into account, it’s almost unfair. For example, when your clip runs out, you have to manually press a button to reload. Another mechanic that raises the difficulty is the reinforcements you can call in during the game. This by itself doesn’t sound bad, so let me explain. Each reinforcement has a button combination that corresponds with it. So, you’re getting attacked by a million alien bugs, the three other players are dead, and you need reinforcements? You can bring your friends back to life to help, but you’d better get that button combination right. It all sounds so brutal, but it’s Helldivers’ difficulty and sprawling interface where you will never play the same system twice that sets it apart from the usual ingredients of previous online shooters. Most of you probably know about Destiny, so I probably don’t have to provide too much explanation, but here’s a bit for those who haven’t read much about the game. It’s MMO-esque, a first-person shooter, has a beautiful, huge world — the list certainly does go on and on. You can enjoy the classic elements of a fast-paced first-person shooter, combined with RPG elements as well. The game takes place in a post-apocalyptic Earth, many years into the future, and you play as a Guardian tasked with protecting Earth from crumbling completely. 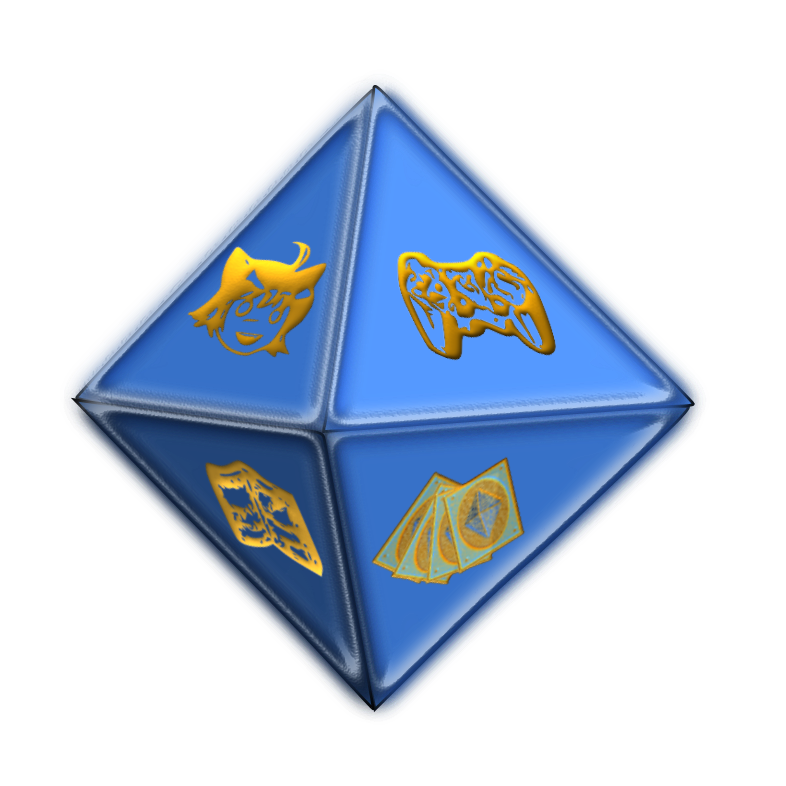 Players pick from three races (Human, Exo, and Awoken), and then upgrade their weapons and armor. 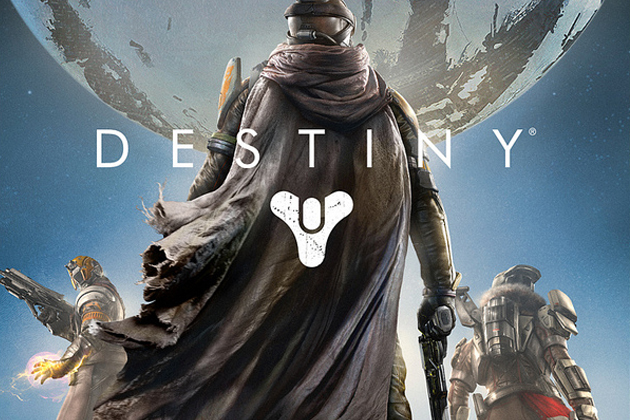 Destiny has all the elements of current online shooters, only set in a massively expansive world. Additionally, throughout the game the player may experience random events in the world to keep gameplay dynamic and unpredictable. Bungie has experience with the traditional online shooters from Halo, but the company has decided to push the world of online gaming even more. Way, way more. They will give the player something new and exciting, and raise the bar for online shooters substantially. Finally, we have The Division. Ubisoft’s sales pitch for this game is simple: “Online, Open-world, RPG”. Three things that make a fun game. Set in the not-too-distant future, The Division takes place in a collapsed New York City. Apparently a virus was released on Black Friday and broke the world in five days, sending humanity into total chaos. In this game, players band together, or fight against one another, in order to save NYC–or drive it further into destruction. One of the big things about this game is that it will exclusively be on PCs and current-gen consoles, in order to harness the full extent of the new consoles’ capabilities and create an online experience unlike any other. Some of the selling points for the game are the social aspects, namely the ease of interacting with other players, be it going on missions, trading, fighting each other, etc. The world is huge, and you can experience it “seamlessly,” to quote Ubisoft, with other players. There is limited information about the game, but what can be gathered from the gameplay footage is that players live in this broken city (finding food, resources, advanced technology from black markets), and they may work together or play against other teams all within the same scenario. 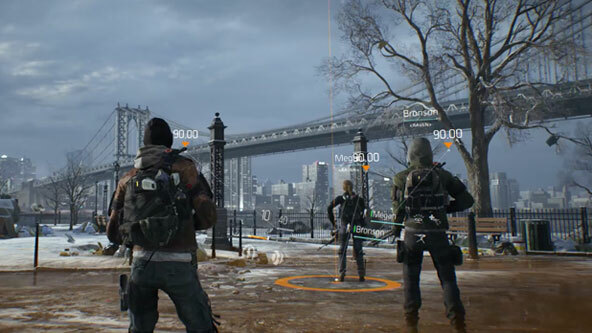 The Division sounds awesome, and it’s another example of what online shooters can be and how the norm has to evolve. As we await these games, it will be interesting to see how Titanfall matches up in the online gaming arena. Considering the strong reviews and buzz, it seems as though Titanfall will fit in comfortably. This is not to say that COD or games similar to it should fade into obscurity. Quite the opposite–I am a fan of Call of Duty, but the lack of variation and similarity from game to game have left things stale. What I am saying is this: in order for these games to survive in an evolving and growing community, they need to adapt, and they need to shake things up a bit. Call of Duty is a great franchise that has earned its place and immense fan base. But I think ten years from now, the audience for online shooters will demand something more when they get a taste of what can be.